The IWGB is outraged after the Scottish government’s National Review of Care Allowances fails to recommend minimum allowances for children in foster care. Allowances for children in foster care often in Scotland often fall below the cost of raising a child according to the Child Poverty Action Group. 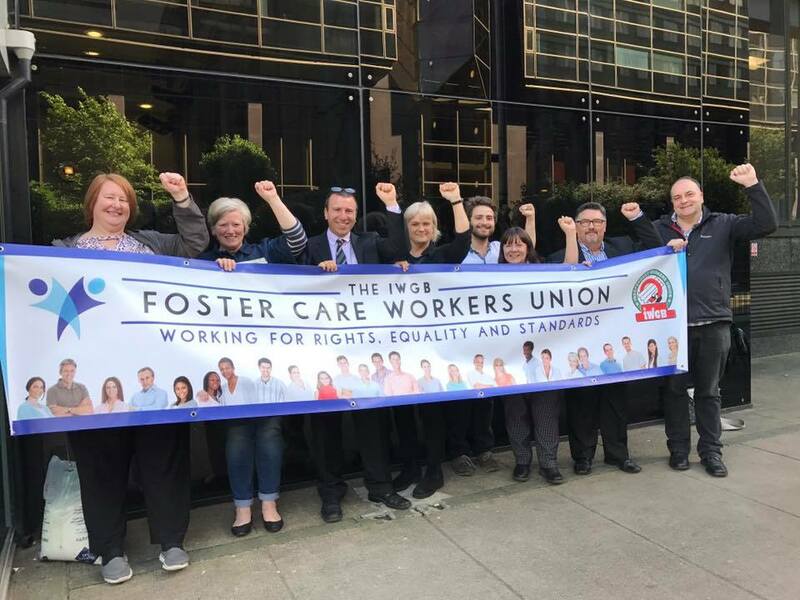 28 September: The Scotland Foster Care Workers’ (SFCW) branch of the the Independent Workers’ Union of Great Britain (IWGB) is outraged that the Scottish Government's National Review of Care Allowances has failed to recommend minimum allowances for foster and kinship carers. The report released on 14 September, after near year-long consultation only asks that government ministers and the Convention of Scottish Local Authorities (Cosla) “consider” minimum allowances. This follows more than a decade in which the Scottish government has promised to look into minimum allowances. Inaction by the group leaves looked after children in Scotland, whose needs are covered by the allowance, in a more precarious position than their English counterparts, where the Department of Education provides local authorities and fostering agencies recommended minimums that they are expected to respect. Research carried out by the SFCW branch of the IWGB found that a quarter of Scotland's 32 local authorities pay rates below the minimums set in England. Several councils also pay below the Minimum Income Standard – the minimum people need in order to reach a minimum socially acceptable standard of living – set out by the Child Poverty Action Group. Highlands, for example, pay as little as £77.69 a week in allowances and even expensive cities such as Edinburgh have rates as low as £102.42 per week. The average Minimum Income Standard for a child looked after by a couple is £161.46 per week, while the average for a lone parent is £219.23, according to the Child Poverty Action Group. This failure by the review group was in part a result of its bias make-up, which had no foster or kinship carers, or any voluntary membership organisations for foster carers. Instead it consisted mostly of government officials from Holyrood and local authorities as well as a few third-party organisations. Foster carers across the UK are in a precarious situation with no entitlement to basic employment rights. The IWGB, the largest voluntary membership organisation for foster carers in Scotland, is campaigning to reverse this situation and last year had a won a landmark case in Scotland that recognised two specialised foster carers in Glasgow as employees. The union is also in the process of recruiting members in Glasgow as a prelude to forcing the council to recognise the union for the purposes of collective bargaining. The IWGB is the leading trade union for precarious workers and has taken landmark cases against Uber, Deliveroo, the University of London and others.